At Hickey Law Firm, P.A., we find that many of our clients have similar questions when it comes to personal injury litigation. Located in Miami, our firm serves Fort Lauderdale, West Palm Beach, Tampa, Orlando and anywhere else in Florida. An experienced Miami injury lawyer at our firm can provide you with answers to your questions if you are looking to file a personal injury claim. This list of frequently asked questions has been assembled so that individuals looking to learn more about personal injury litigation can use it as a quick reference. If you have additional questions regarding the litigation process or you would like to schedule a free, no-obligation consultation in the Miami area, please call Hickey Law Firm, P.A. at 305-371-8000 today. OUR MISSION is to provide to you, the honest, seriously injured person, the advice you need, the representation you want, and the compensation you deserve. By doing this, we correct unsafe places, procedures, conditions and products on cruise ships, stores, commercial facilities, at work and at home. Hickey Law Firm, P.A. represents honest, seriously injured people in cases of personal injury, wrongful death, cruise ship accidents, maritime accidents, boating accidents, aviation and airplane crashes, slip and falls, trip and falls, car accidents, truck accidents, product liability, medical malpractice, professional negligence, wrongful prescriptions, sexual assault, assault and battery and negligent security. We help people who have suffered wrongful death or injuries with permanent impairments or disabilities, such as orthopedic injuries, which include broken bones or torn ligaments or tendons; injuries to the organs; neurological injuries; brain injuries; burn injuries; psychological injuries from trauma or scarring and disfigurement. (For Cruise Passengers) Do I Have to File a Claim or Lawsuit in Miami? If you have been injured as a result of the reckless, negligent and careless actions of another party, you can file a personal injury claim for damages. Individuals, businesses and governmental agencies have a legal responsibility to act in a manner that does not place others at unreasonable risk of harm or injury. If a party acts negligently and causes injury to another person as a result, he or she can be held liable for damages. At our Florida law firm, a Miami injury lawyer can help you file a personal injury claim if you have been injured at the hands of another party. In the tragic event of a loved one’s death, we can also assist you in filing a wrongful death claim. Personal injury cases are handled on a contingency fee basis. Payment for our legal representation is contingent on our reaching a successful case resolution in the form of either a verdict or settlement on your behalf. In the event of a successful case resolution, we will take a predetermined percentage of the recovery as payment. If we do not obtain financial compensation on your behalf, you owe us nothing for our services, though you may be responsible for case costs, such as filing fees. To learn more about which expenses you may be responsible for, please contact Hickey Law Firm, P.A. today. An injury lawyer serving the Greater Miami, Fort Lauderdale and Palm Beach area can review your case and advise you of your legal options. The amount of financial compensation you may be eligible for depends on the circumstances of your specific case. However, the damages to fix what can be fixed and help what can be helped include past and future medical expenses, loss of income in the past and loss of ability to earn income in the future. The damages to balance the harms and losses are for past and future pain and suffering, debilitation, disfigurement, scarring, mental anguish and loss of ability to enjoy life. There is a statute of limitations, or time limit, for every lawsuit in the state of Florida, including personal injury lawsuits. You must file your claim within the statute of limitations. If you or someone you love has been injured as a result of the reckless and negligent actions of another party, we urge you to contact a Miami injury lawyer from Hickey Law Firm, P.A. as soon as possible. 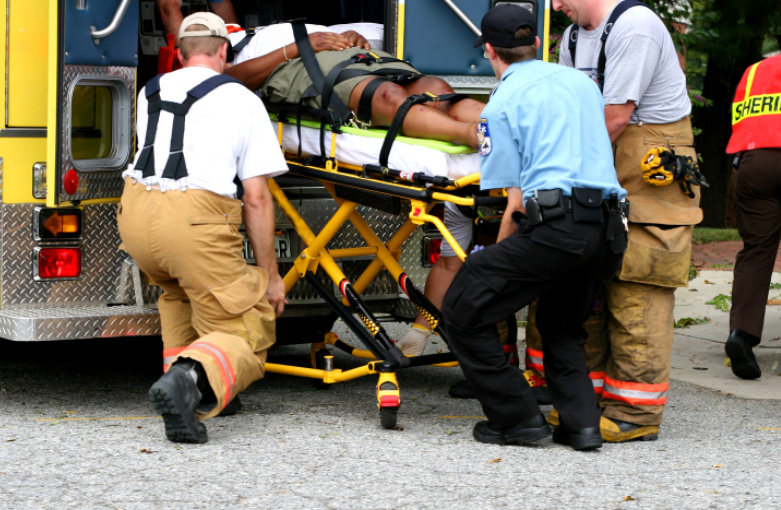 Preparing for a personal injury lawsuit can be a time-consuming process. If you hesitate to seek legal counsel, it can seriously jeopardize your chances of being justly compensated for your suffering. If you were partly at fault, your burden of responsibility in the accident will be taken into account if and when we take on your case. Bearing part of the responsibility of the accident can limit the amount of compensation you obtain in a settlement or verdict, but it does not automatically eliminate your eligibility for compensation. Whichever party bears the brunt of the responsibility is responsible for compensating the victims for damages. Pursuing a personal injury claim can be difficult, and the cruise lines, railroads and insurance companies all hire lawyers who appear nice to the judge and jury but who fight us at every step. For the best opportunity of obtaining the maximum amount of compensation to which you are entitled, it is in your best interest to seek representation from an experienced personal injury attorney. Serving Miami, Fort Lauderdale, West Palm Beach, Tampa, Orlando and anywhere else in Florida, a Fort Lauderdale injury lawyer from Hickey Law Firm, P.A. can review your case and determine a course of action to bring about a successful resolution. In the United States, we allow people to pay lawyers a contingency fee. This enables people who ordinarily cannot afford to hire a lawyer, who cannot afford to pay a fee up front, to hire an attorney who takes a fee out of the recovery at the end of the case. Why is this important? Because the other side, that is the defendant, will have its insurance company hire a law firm. All defendants we bring claims against — whether it is a cruise line, a grocery store, a doctor, a hospital or a person — have insurance. The insurance company pays the lawyers for the defendant. The insurance company will pay the lawyers and their law firm hourly. That is, the defendant’s lawyers will bill for every hour that every lawyer at that firm puts into the case. Their lawyers get paid to spend more time on the case. They have an incentive to spend as much time as possible on the case and even to drag it out — and they always do. We, on the other hand, have an incentive to get to the point. The lawyers on the other side of us only represent insurance companies or large corporations. They have ongoing relationships with all of these companies and represent these companies on a regular basis. These law firms who represent defendants also have ongoing relationships with their “experts.” These are the people who come in and testify about whether there was negligence, or in the case of a doctor expert, how badly (or not) you were hurt. These are experts who are paid by the insurance companies in many cases each and every year. They usually come to the “opinion” that the defendant was not at fault and that the plaintiff was at fault. Even the doctors hired by the defendant’s law firms are hired almost always and exclusively by defendants. Some of these doctors are paid hundreds of thousands of dollars a year from all of the cases in which they represent insurance companies. You may never have seen them before, but we the lawyers see them all the time in cases. They will testify, every time, either that there was no injury, or if they acknowledge there was an injury, they will testify that it was caused by something before or after the accident in question. When you have a personal injury claim, you and your family are up against a big machine. The machine is not only the cruise line or the driver of another car or the business that was negligent in its maintenance or in its product. It is the insurance company behind the scenes, as well as the defense lawyers and their “experts.” In fact, these companies would prefer to pay all of this money to their lawyers rather than spending it to change the maintenance procedures or to make the area safe and secure for people like you and your family. These companies expect that sometimes they can persuade a jury that the defendant is not wrong, that the plaintiff is all at fault or that the plaintiff’s injuries were caused by something in the past. These are common defense lawyer tactics. They are just that. They are designed to distract the jury from the facts, from the defendant’s negligence, and from the plaintiff’s injuries and disabilities. That is why you need a lawyer. In this system, you pay out of the proceeds of any settlement or out of the proceeds of a judgment after a jury verdict. That way, you do not pay until the end of the case and only if you recover. If you do not recover, you do not pay. In the event that you lose, we the law firm lose as well. We pay all of the costs and we recover nothing for our fees, for our time, for the months or years it takes to prepare a case for trial. However, if you do win, we get paid a portion of the recovery. Yes, if you were a passenger on any ship of Carnival Cruise Lines, Royal Caribbean Cruise Lines, Celebrity Cruise Lines or Norwegian Cruise Lines. Because the cruise lines dictate where a lawsuit has to be filed, in the fine print of your ticket stub. If you have additional questions regarding the litigation process or you would like to file a personal injury claim for injuries you have sustained, please call Hickey Law Firm, P.A. today at 305-371-8000 for a free consultation. Serving Miami, Fort Lauderdale, West Palm Beach, Tampa, Orlando and anywhere else in Florida, we will work tirelessly to protect your rights.